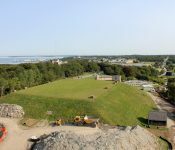 Under a consent order to address challenges stemming from its nine surface water reservoirs, Newport, Rhode Island, needed to upgrade the existing Station No. 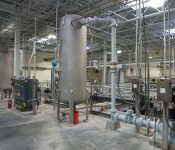 1 Water Treatment Plant, improve its process train, and demolish the 1940s-era water treatment plant at the Lawton Valley site and replace it with a new one. 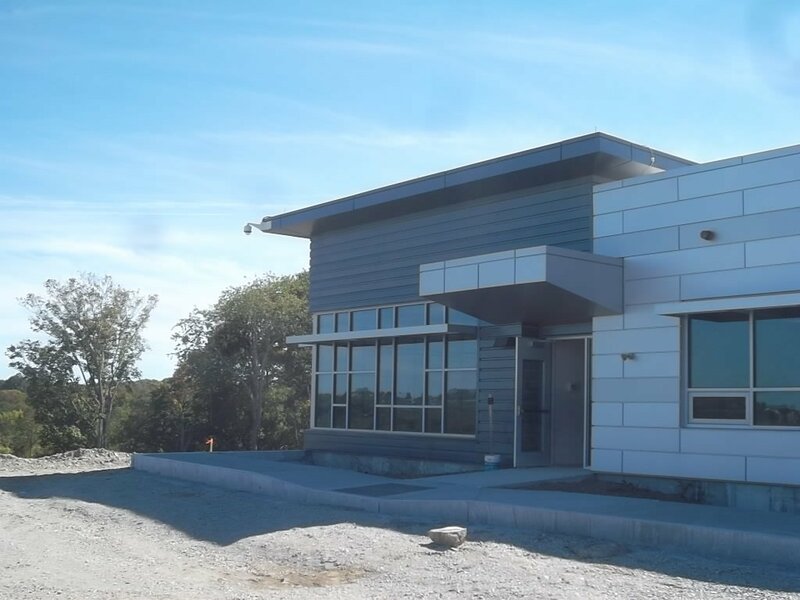 The new treatment plant would need to reduce the amount of total organic carbon (TOC), which—if not removed from the source water—would combine with the chlorine used for disinfection to produce resulting toxins of total trihalomethanes (TTHMs) and haloacetic acids (HAAs). 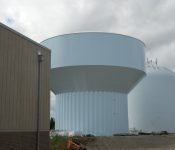 In addition, during construction of the new facility, the city could not afford to lose the storage capacity provided by the existing 4-mg reservoir buried on the site. 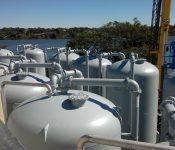 Subsequently, upgrades to the existing plant, from pulsator clarifiers to high-rate drinking water activated filter (DAF), had to be made while continuing to deliver drinking water to customers. AECOM, as part of a joint venture, was awarded a fixed-price design-build contract for the two projects. 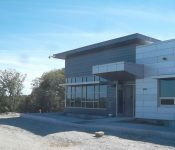 Working collaboratively with the City and regulatory agencies, the joint venture developed a complete set of design, testing, and start-up plans together with a water-quality testing protocol to facilitate a smooth transition from the aging facilities to commissioning the new water treatment plant. 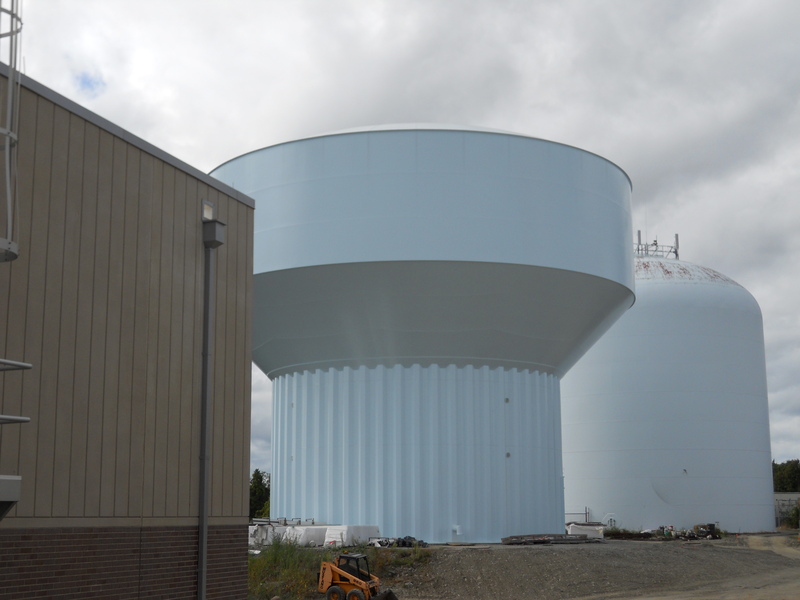 AECOM’s resourceful solution to the logistical challenges at the Lawton Valley site included adding a new 1-mg bolted steel storage tank that provided water to the existing plant operations and distribution to customers during the construction. 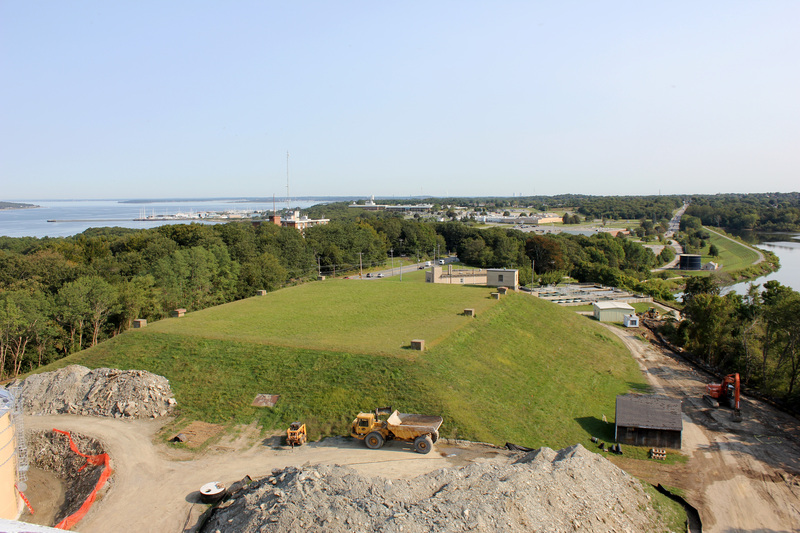 The older buried reservoir could be demolished early in construction and the new plant built at a lower cost due to eliminating costly sludge-pumping, storage and backwash tanks, and pumping at the plant. 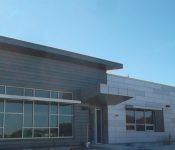 Design and permitting for both facilities was completed in six months, allowing construction to begin on schedule. The new Lawton Valley WTP is a 7-mgd plant with a new O&M building, high-rate DAF and GAC filtration facilities, chemical-feed equipment, laboratory, clearwell for finished water storage, post- filter absorbers using nine new GAC contactors, and a new 2-mg elevated water storage tank for distribution system storage. 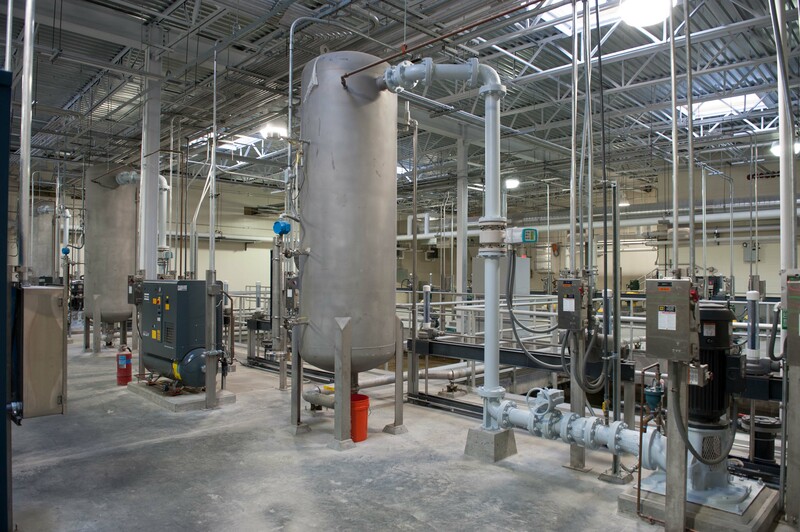 AECOM’s unique design features multiple chemical dosing points and with ultimate flexibility to treat changing water conditions on site, resulting in a water recycling system that makes the overall plant treatment process 99.5% water-efficient. High- efficiency motors, VFDs, and a design approach focusing on LEED-certified standards make this plant one of the Northeast’s most energy-efficient and cost-effective facilities, as well as its first water treatment facility to specifically target difficult-to-treat surface waters and significantly reduce TTHMs, using high-rate DAF and advanced water treatment using GAC contactors. Operators can now draw from marginal raw-water sources they haven’t been able to use for over 30 years, while exceeding all finished-water quality parameters. The upgraded Station No. 1 plant was five months ahead of schedule, and the new Lawton Valley plant was more than three months ahead of schedule—and both were delivered for less than the City’s capital budget. 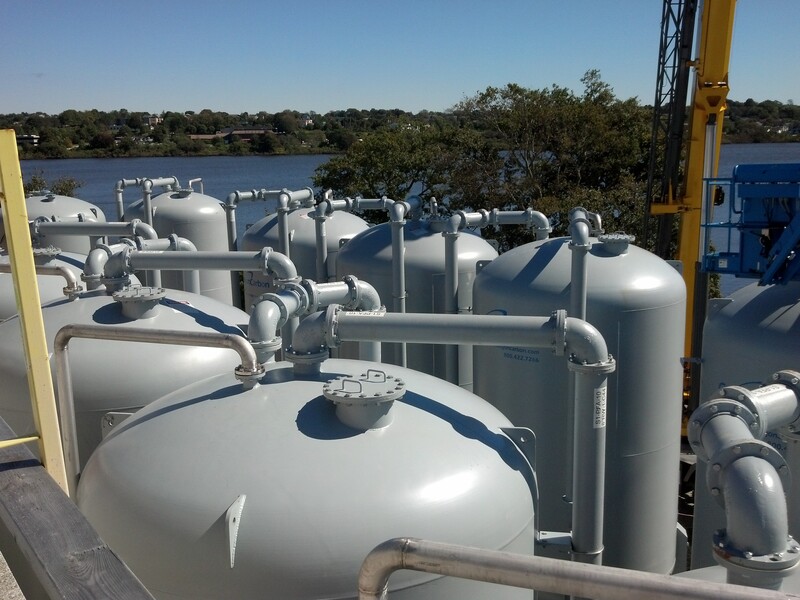 The two water treatment plants will provide safe, reliable drinking water to Newport for years to come.